I really thought that I was going to be able to get some posts in for today but that just didn't happen. Today was my uncles funeral. He had passed away last week and even though I hadn't seen him in years it still it me like a ton of bricks to say my last goodbyes. By the time I got home I was just way to exhausted to deal with anything hence why this is going up now. 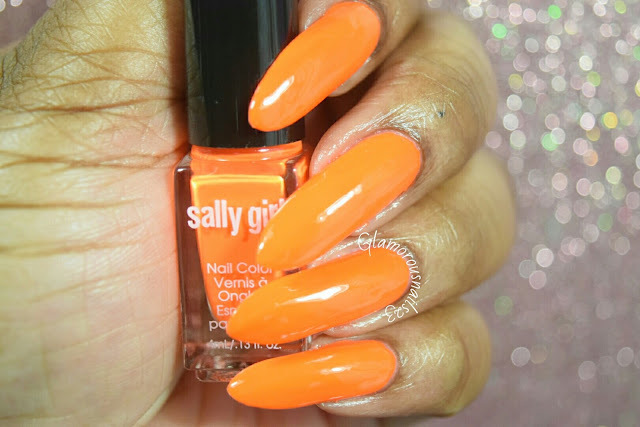 Any who I wanted to share with you this very bright orange polish by Sally Girl. I used this polish as a base for some stamping nail art which can be found here. This was the first time that I've ever actually used or purchased any Sally Girl polishes and I'm very pleased. I'm going to be adding more of these to my collection and for the price point of $0.99 you can't go wrong! The bottles are minis but they are so cute! I do wish they made full sized versions of these polishes. 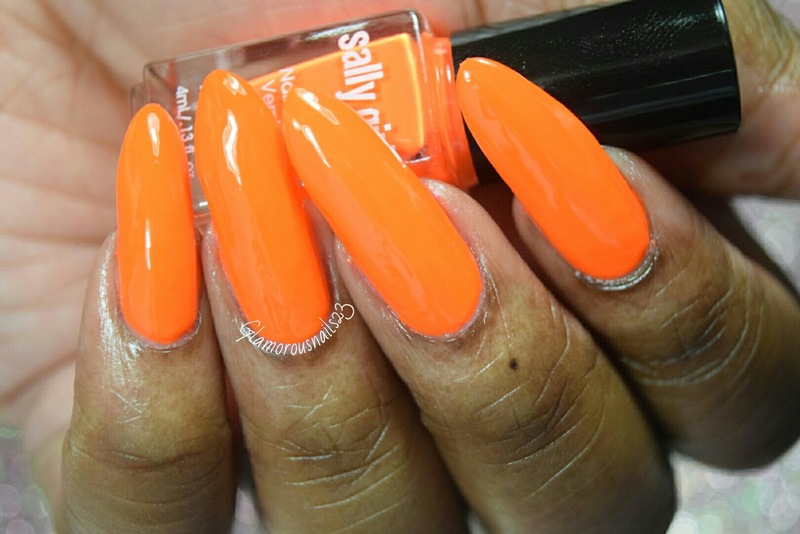 Crazy is a bright orange neon creme polish. The formula was smooth and it was almost a one coater! The brush is wide and it makes it very easy to work with. Like with most neon's it does dry matte so you will have to use a top coat to make it all shiny. When Crazy dried it was a bit uneven but once the top coat was applied this helped to even it out. I love how pretty this polish is! Perfect for summer or to brighten up your days in the winter. For the photos I used two thin coats with a top coat. 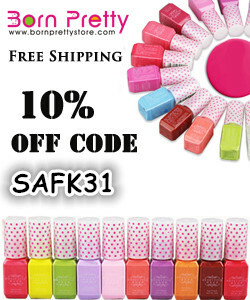 Sally Girl polishes are sold exclusively at Sally's Beauty. 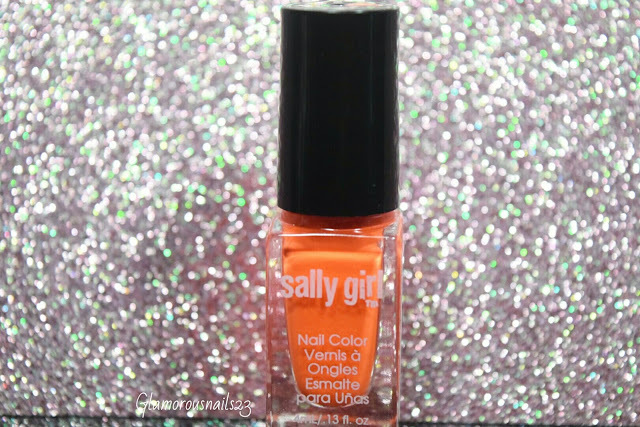 Sally Girl polishes come in a range of colors and finishes! What do you think of this polish? 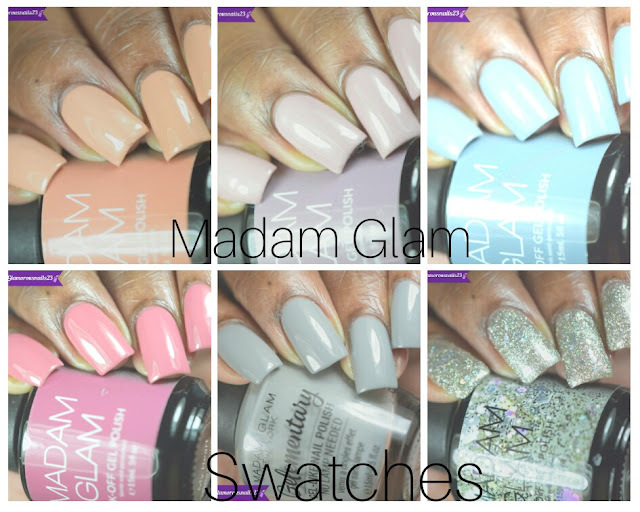 Do you own any of the Sally Girl polishes? Any colors to recommend? Let's chat below! Sorry for your loss Sasha :( A death in the family is never easy. Keeping your family in my prayers. This polish is a beautiful orange and that's great it is almost a one coater! Thanks so much Paola :(. I know no matter how long you may not have seen that person it still hurts. Thank you. I know! The polish is lovely. I'm really thinking about adding some more of this little cute bottles to my collection. They're only $0.99! So I mean why not!